These options are only for Harmony Network. When you use the Harmony Solution and work in a scene on the database, there are many choices and options available when you save your work. 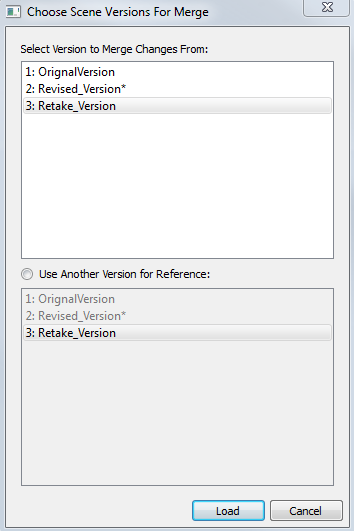 When you open the scene from the database and you select the version you wanted to edit, you can either save the changes you made in the current version, or create a new version. The simplest way to save your work is to update the current version. 1. Make sure that you have the necessary rights to save the current scene version. If you do not, you can acquire the rights by selecting File > Rights to Modify Scene Version or Rights to Modify Scene. 2. Select File > Save or press [Ctrl] + [S] (Windows/Linux) or [⌘] + [S] (Mac OS X). ‣ In the This Version field, enter a relevant name for the current version. ‣ In the Description field, enter a short description of the current version. Once the scene you are working on has been saved, use these options to save the scene as a different version, or to select specific components of the scene you want to save. 2. Select File > Advanced Save. The Advanced Save dialog box opens. Once you have chosen the components to be saved, you will conclude the procedure by following the instructions in the section. After selecting the components to be saved, click on the Save button. All the specific components that are selected throughout the different tabs of the Advanced Save dialog box will be saved. • Set a new current version. • Enable this option if you want to save the modifications made to the current scene. • Disable the Save option if you only want to save specific components of your scene listed in the Drawings, Palettes or Palette Lists tabs. This will disable all option in the File tab. • Enable this option if you want to save the current version of the scene. You can rename the current version by typing a new name into the field. • Enable this option if you want to save the current scene as a new version. You can name this new version by typing a name into the field. 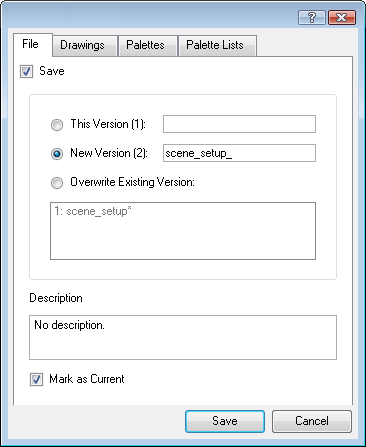 • Enable this option and select an existing version of your scene from the list to overwrite it. 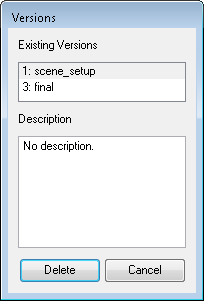 • Use this field to add or edit an existing description for the scene version you want to save. • Enable this option if you want to set this scene version as the current one. This version will be automatically selected as the default current version when the scene is selected in the Database Selector dialog box. • Select the modified drawings that you want to save. • Deselect the modified drawings that you do not want to save. • Click on the Deselect All button to deselect all modified drawings in the list. • Select the colour palette that you want to save. • Deselect the modified colour palette that you do not want to save. • Select this option if you want to display the recovered palettes in the list of modified palettes. • Click on the Select All button to select all modified colour palettes in the palette list. • Click on the Deselect All button to deselect all modified colour palettes in the palette list. • Select the modified palette lists that you want to save. • Deselect the modified palette lists that you do not want to save. Select this option if you want to display the recovered palettes lists in the list. Click on the Select All button to select all modified palette lists in the list. Click on the Deselect All button to deselect all modified palette lists in the list. You should now have selected the components you wanted to save from the components. 3. After selecting the components to be saved, click on the Save button. All the specific components that are selected throughout the different tabs of the Advanced Save dialog box will be saved. You can delete any unnecessary versions using the Version Manager. 1. Make sure you have the necessary rights. If you do not, select File > Rights to Modify Scene. 2. Select File > Manage Versions. 3. 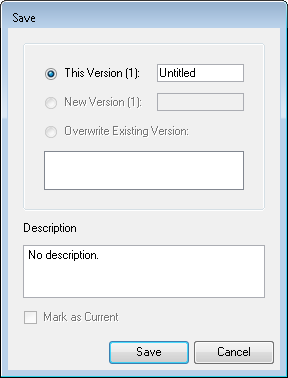 In the Existing Versions list, select the scene version you want to delete. When a version is selected, information about it appears in the Description list. 5. ONLY if you are certain that the version can be deleted, click on the Yes button. ‣ Click on the No button if you want to cancel the operation and keep the version. It is quite possible that when working with multiple versions, you will want to merge some of the changes from one version into another. You might have created a version with some suggestions that you submitted to the director, or to animation, while continuing to work on the official version. If the director approved some of the changes, you can now use the Merge Editor window to import those changes in the official version. 1. In the top menu, select Edit > Open Merge Editor. The Choose Scene Versions to Merge Changes From opens. 2. 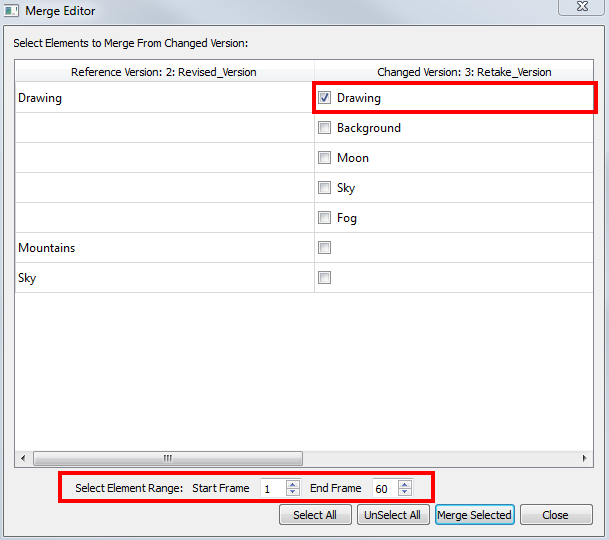 In the Choose Scene Versions to Merge Changes From section, select the scene version you want to merge the changes from in your current open version. 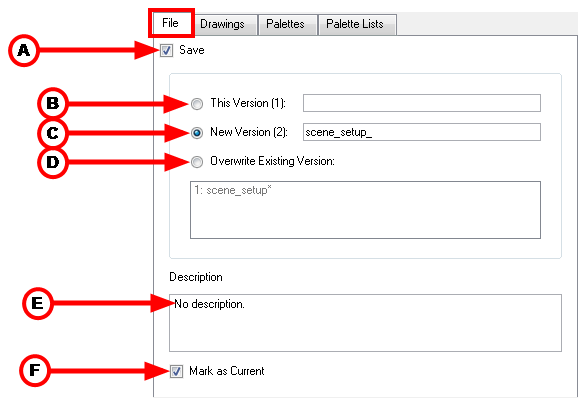 ‣ In the Use Another Version for Reference section, you could select a different scene version to merge the changes into, rather than your current version. 3. Click on the Load button. 4. From the right column, select the layers you want to merge the changes from into the reference version. 5. In the Select Element Range section, set the Start Frame and End Frame fields to indicate from what frame to what frame you wish to take the changes from. 6. Click on the Merge Selected button to complete the operation.